The current Coronal hole on the Sun has delivered 3 major quakes in the area in the last three day's with yesterday's major quake in Indonesia very close to Bali's extremely active Mount Agung Volcano. Kanlaon Volcano in the Philippines shaken up with 2,234 volcanic earthquakes in less than 48 hours. 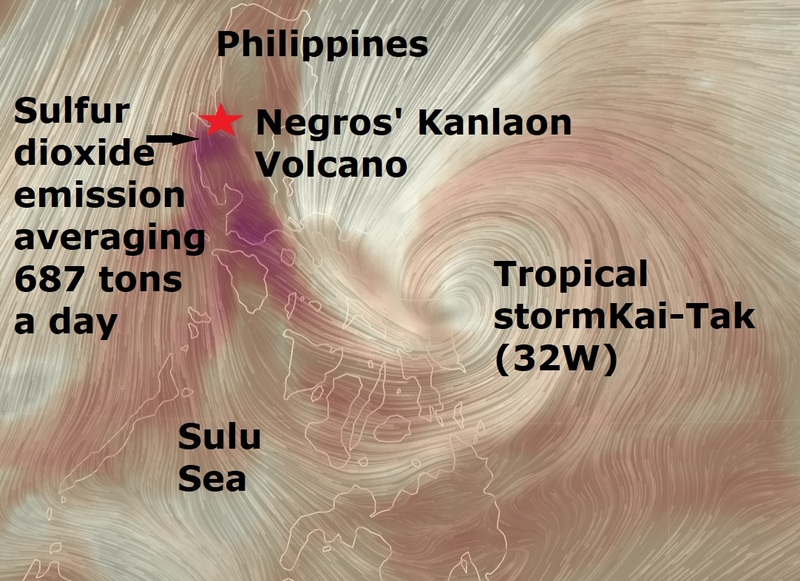 Three factors could cause a major quake or massive eruption: Tropical storm Kai-Tak in the area, Coronal Hole on the Sun's atmosphere ejecting solar wind towards Earth set to arrive tomorrow and the fact Negros' Kanlaon Volcano is so active at the moment. It's a disaster waiting to happen, active Kanlaon Volcano in the Philippines shaken up with 2,234 volcanic earthquakes in less than 48 hours, with a coronal hole on our Sun spewing solar wind towards Earth while tropical storm Kai-Tak batter's the volcano vicinity with severe winds and torrential rain which, together, could very well signal a major quake or a volcanic eruption today or early tomorrow...Stay tuned. Negros' Kanlaon Volcano remained restive with 1,217 volcanic earthquakes recorded over the past 24 hours, the Philippine Institute of Volcanology and Seismology said Friday, December 15. This was 210 quakes more than the 1,007 recorded on Thursday. 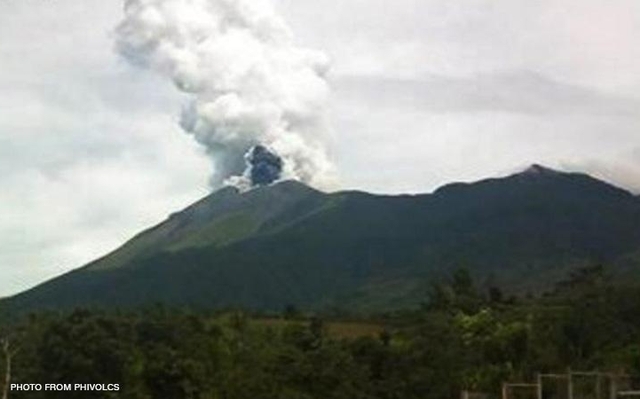 Phivolcs said a wispy emission of white steam-laden plumes was observed at Kanlaon's crater. On December 13, it also measured a sulfur dioxide emission averaging 687 tons a day see map above. The U.S. Geological Survey says "scientists can learn a lot about changes to the magma system within a volcano by," among others, "measuring changes in the emission rate of certain key gases, especially sulfur dioxide and carbon dioxide." "Sulfur dioxide is released from a volcano when magma is relatively near the surface," it adds. Another article on the USGS site notes that "correlation spectrometer measurements of sulfur dioxide emission were an important contributor to successful prediction of the June 1991 eruption of Mount Pinatubo," when an initial measurement of 500 tons a day in mid-May that year increased tenfold late the same month. Kanlaon has been on Alert Level 2, meaning "there is a probable intrusion of magma at a depth which may or may not lead to a magmatic eruption," since November 15 after 279 deep volcanic earthquakes were recorded over a 24-hour period. The recent activity followed a low-energy phreatic, or steam-driven, eruption last Saturday, December 9. Phivolcs has reminded local government units to bar entry into the Permanent Danger Zone, the four-kilometre radius around Kalnalon's crater, and pilots to avoid flying close to the volcano's summit because of the dangers posed by sudden eruptions. About 300 individuals were left stranded at several ports in Cebu province due to rough seas that prevented vessels from sailing in the Visayas region brought by tropical storm "Urduja." Data from the Philippine Coast Guard-Cebu Station (PCG-Cebu) revealed that a total of 22 passenger ferries and nine cargo ships were grounded as of noon on Thursday. They also accounted a total of 280 passengers who were left stranded after their voyages were cancelled. Most of the vessels were bound for areas in Southern Leyte such as Ormoc City and the towns of Maasin, Villaba, Palompon, and Isabel. The state weather bureau, the Philippine Atmospheric, Geophysical and Astronomical Services Administration (Pagasa), hoisted storm signal No. 1 on Northern Cebu, which includes Bantayan Island, Southern Leyte, Biliran Island, Aklan, Capiz, Northern Iloilo, Romblon, Masbate, Sorsogon, Albay, Camarines Sur, Catanduanes, Eastern Samar, and Northern Samar. On the other hand, Department of Education-Cebu Province (DepEd-Cebu) Division Superintendent Rhea Mar Angtud announced that all classes in pre-elementary and elementary levels, both public and private, all over the province are suspended on Thursday and Friday due to Urduja's presence. 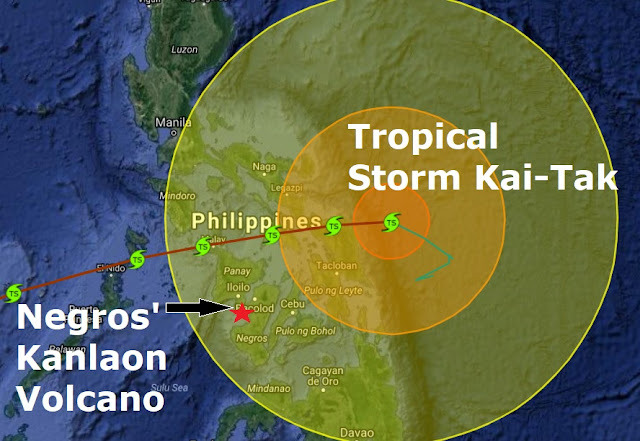 The storm's eye was last spotted 90 kilometres southeast of Guiauan, Eastern Samar. It has maximum sustained winds of up to 80 kilometres per hour near the eye and 65 kilometres per hour on its outer bands. Pagasa said Urduja, which is moving west at speed of seven kilometres per hour, is set to make landfall on Eastern Samar Friday morning. NOAA forecasters say there is a 35% chance of G1-class geomagnetic storms on Dec. 17th, increasing to 55% on Dec. 18th when a solar wind stream envelopes our planet. 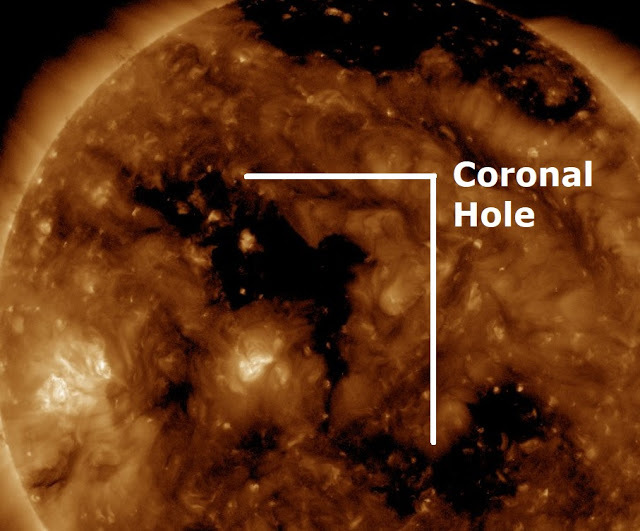 The gaseous material is flowing faster than 600 km/s from a hole in the sun's atmosphere. Arctic sky watchers should be alert for auroras when the solar wind arrives. You guys have Kanlaon WAY north of Manila, Please recheck the placement, it is more like 100km directly west of Cebu. I live here in PH.